September 5, 2011 - The 39th AEI (Aircraft Engineers International) congress will be held in Istanbul from the 5th – 9th October. This annual gathering of aviation professionals offers Licensed Aircraft Engineers a platform to voice their opinions and concerns on current trends within civil aviation. Top of the agenda is the growing concern that airline outsourcing of maintenance is leading to a lack of direct oversight and therefore control of maintenance activities carried out on commercial passenger aircraft. Although airlines are very keen to claim that “safety is paramount”, increasing safety related incidents suggest the opposite. However credit where credit is due and AEI welcomes the fact that after many years of warning about safety standards within Europe, the European commission has finally acted. It has been an open secret for some time now that even large NAA’s have allowed their oversight of airlines to become compromised. With an increase in safety related findings uncovered within European airlines by the SAFA (Safety Assessment of Foreign Aircraft) program, the EU could no longer ignore the situation. Therefore in April 2011 and to Germany’s embarrassment, the European Union went public and published German related safety issues in Europe’s airline operator blacklist. Regrettably however the European Commission continues to move very slowly on the issue of fines and penalties for breaches of aviation safety regulations. The FAA has been fining US airline operators for many years now and to great success. Large fines and inevitable negative publicity acts as a strong incentive for airlines to ensure safety is truly paramount. Airlines in the United States are named and shamed by such actions and this can only be in the best interests of both the passenger and safety. Therefore the ongoing EU consultation into introducing a similar system into Europe is to be welcomed but there are concerns that the process has lost momentum leaving European Airlines able to continue to hide their safety lapses behind a cloak of secrecy. AEI would like to see renewed vigor on this issue from European politicians and particularly DGTREN (European Department for Transport). AEI will also be raising their concerns about the constant attempts by airlines to undermine the Licensed Aircraft Maintenance Engineers safety function. These engineers are fighting the safety and standards war on the front line. Their job is to ensure that every single operational aircraft is safe and fit for the next flight. To ensure safety is monitored objectively, licensed engineers are examined independently to their employers. On achieving a successful examination result, a maintenance license is then issued. This should provide the engineer with an element of independence from the airline. The licensed engineer remains the only person authorized to certify that an aircraft is ready to return into commercial service following maintenance. On that basis one would expect these safety professionals to be supported in their task of ensuring that commercial aircraft are safe. Unfortunately airlines very often take a different view and consider such safety professionals as a cost factor or even burden. Although current aviation regulations contain clear and specific references to the responsibilities of these engineers, regulators including EASA (European Aviation Safety Agency) have failed to enforce these requirements. 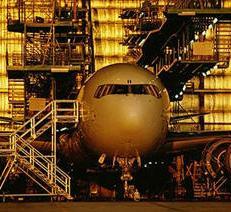 The result is that airlines have been able to severely reduce the licensed engineers influence. This has already led to a significant increase in incidents. Congress will be re-emphasizing to regulators and airlines alike the important role of the licensed engineer within the aircraft maintenance realm. Unfortunately an issue previously raised by AEI that just will not go away is the non reporting of aircraft defects and abuse of the minimum equipment list (MEL). It is regrettably becoming common practice that commercial airlines are supporting the reporting of aircraft technical defects not when they occur but rather when convenient to rectify. The latest AEI investigation reveals a disappointing deterioration of the situation. Again there appears to be no real will from regulators to deal with this issue and so Congress will be discussing plans to publish its own blacklist. With constant pressure applied by airline management to cut costs in order to apparently remain globally competitive, new worrying trends are beginning to appear. With airlines scrutinizing engineers terms and conditions there is a real risk of increased industrial action activity. Recent strike action has witnessed managers and pilots performing and signing for maintenance in order to ensure a flight takes place. Such behavior is ill advised as these actions quite simply do not ensure that safety standards are maintained. This behavior has even infiltrated one of Europe’s largest airlines who did not hesitate to ignore European law by allowing maintenance to be certified by unqualified staff in order to meet the flight schedule; this despite the airline itself having suffered a number of accidents in recent years. The fact that management support such activities apparently unconcerned about the safety consequences raises serious concerns about the integrity of the national authority’s oversight of the airline. AEI therefore remains very concerned about airline behavior during strikes and especially the role of the National Authorities who should be extra vigilant when airline maintenance personnel are involved in industrial action. AEI has received evidence of illegal practices and will determine what further actions are to be taken during Congress. It is AEI's view that the travelling public should be fully aware that safety levels are often significantly reduced during periods of industrial action. Furthermore it is not acceptable for regulators to turn a blind eye to malpractice during periods of industrial tension whilst those found to be working outside the law should be punished. Last but not least is the issue of Whistle Blower protection. Although legal protection for whistle blowers has been embedded in European law since 2008, there remains a long path ahead before real protection takes effect. Unfortunately the current situation reveals that the regulations are only paid lip service leaving individuals concerned about safety wide open to the consequences of speaking out which is often loss of employment. Although the EU has obviously made some effort on this issue a lot more is required before there is true transparency of safety related issues. It is completely unacceptable for brave individuals who are prepared to challenge airlines attempting to undermine safety to suffer consequences of any form. All involved parties must adopt a supportive approach in order to encourage reporting. Open reporting, free of reprisals, is a fundamental element of any safety system. Therefore it should be the primary goal of both regulators and lawmakers to ensure that the prescribed safety systems actually deliver safety benefits.